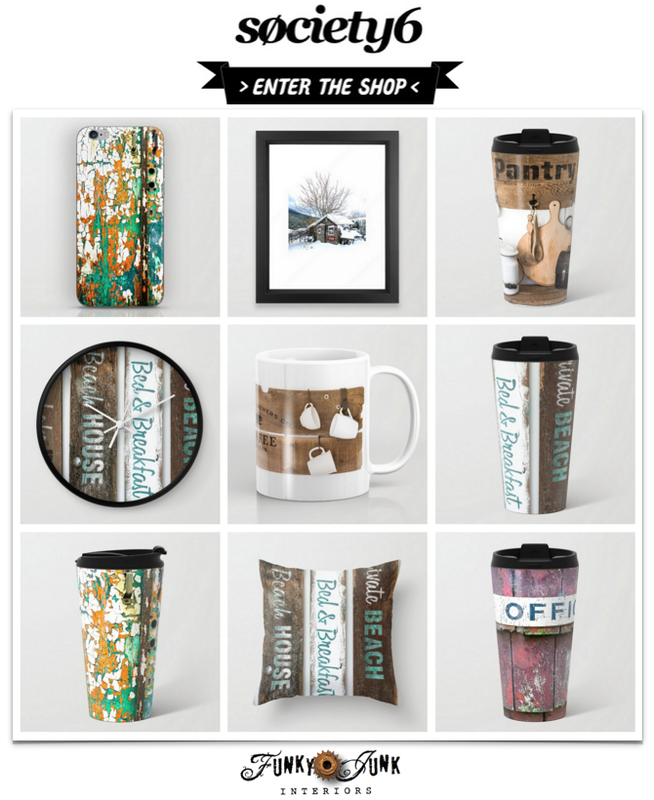 Welcome to Saturday Nite Special, the multi themed DIY link party! Every Fri 7pm to Sunday 11 pm Pacific. 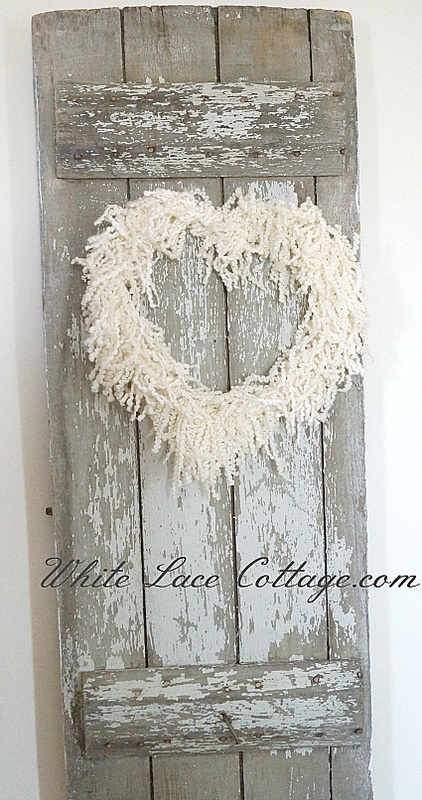 This scrappy styled heart is so pretty, and is year around friendly! Ditto to this beauty, created out of shredded paper! Genius! 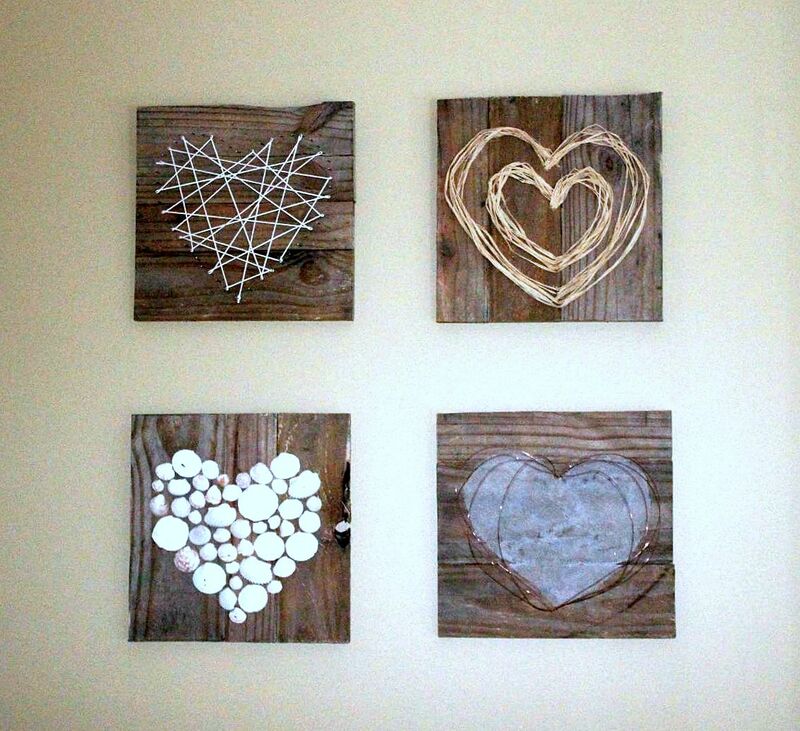 Be my pallet wood valentine?! OK!!! How fun! I adore how these painter’s drop cloth hearts were personalized. They’re so cute strung up as a garland! Click above to see. Coffee sacks, I do love you so.. and even more so as a lavender sachet. 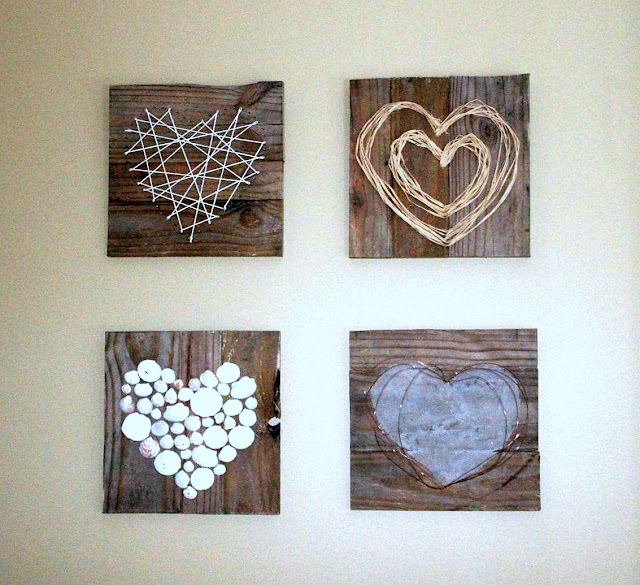 A rustic home gets easy to make rustic valentines… by yours truly. 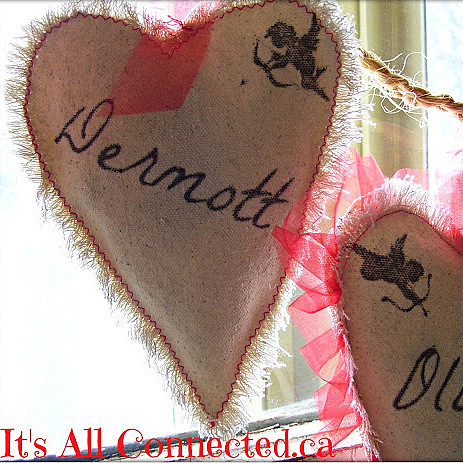 And here’s a collection of 50+ valentines, curated by me from HomeTalk! Got any cool valentines to share? Link them up in this weekend’s 3rd themed linkup! 2. Please link back to the party (text or button) within your post. See BUTTONS under main blog header. Those that link back will have a chance to be featured. 3. Only projects new to SNS please. The themed linkup is an exception. to have Funky Junk’s blog posts sent to your inbox. I’m not usually much for Valentine’s Day decorating, but I’m thinking I need to make some hearts now. I love the collection you’ve highlighted. 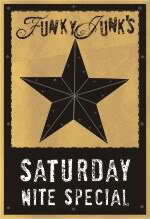 Thanks for providing us with another great weekend party! “Funkey, funkey…” Hehe, thanks for the party, Donna! Thanks tons for the party! Thanks so much for hosting such a great party! Love this holiday! Have a terrific weekend Donna. Thanks sweet Donna!!! Love linking up here! 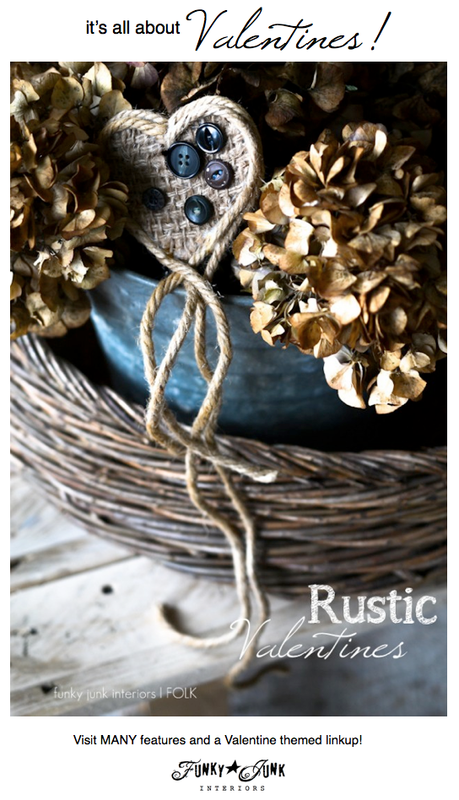 Guess I need to get busy making some Valentine something or others… LOVE your Rustic Valentines! Hugs!! 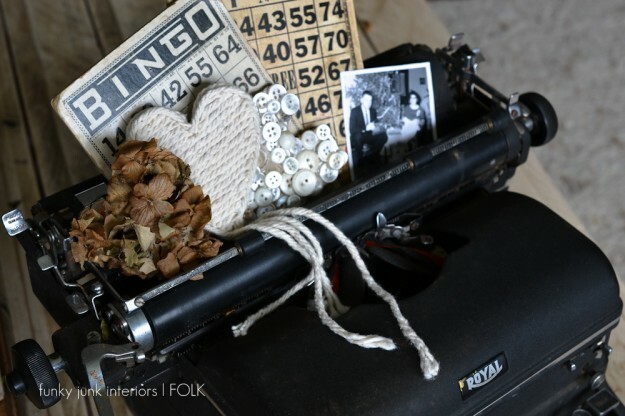 Your burlap heart sitting on the typewriter is so rustic Valentines…love it! Thanks for always being such a gracious hostess every week! 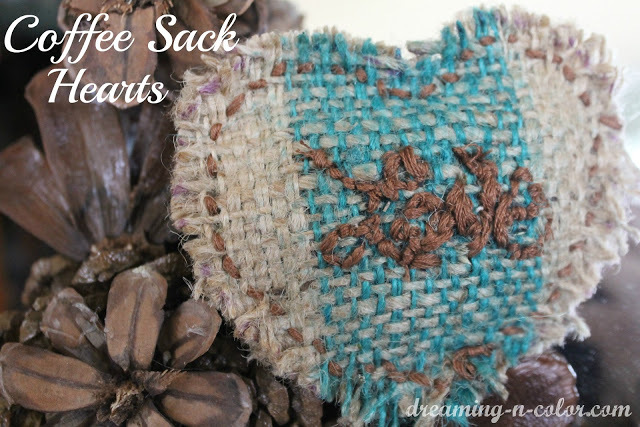 Thanks so much for featuring my coffee sack lavender sachet Donna! I wish the was a smell button lol. They really smell wonderful. Fun features! It amazes me how creative people can be! Thank you so much for hosting Donna! 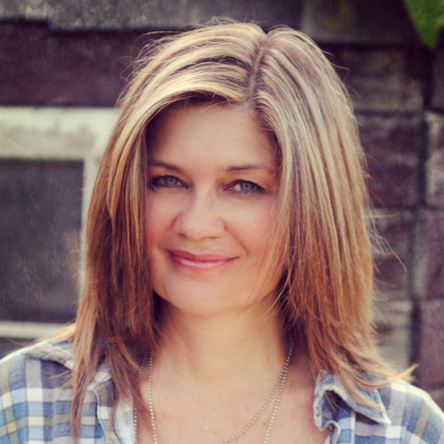 Thank you so much for the feature, Donna! It’s always so fun to be here. Thanks for hosting us! Thank you so much for hosting Donna!! Thanks for the chance to link up…this is my first time visiting! So many Valentine projects!!! 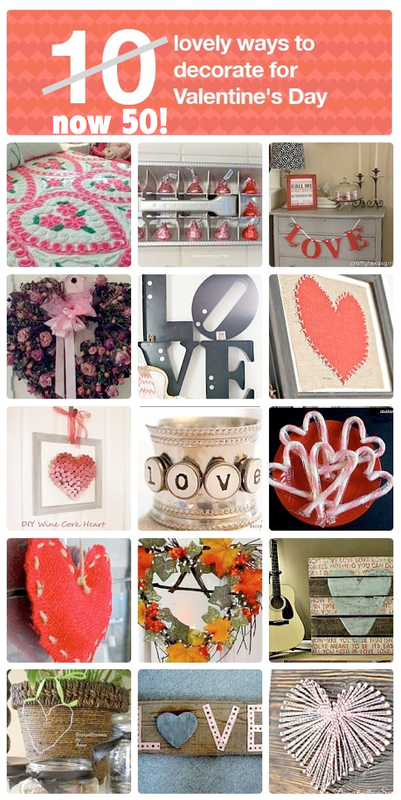 Can’t wait to start pinning some of the idea – I’m sort of addicted to Valentine’s Day! Another week of wonderful inspirations! Thanks for hosting! So many incredible, inspiring projects! So happy to be partying along this week! Off to fill my old typewriter with some valentine-themed goodies! I just picked up the most wonderful rusty large old chandelier but it is one of those that you look at and say this could be something fabulous beyond a chandelier. ” I wonder what Donna would do?” I couldn’t convince you to do a monthly post like that could I? Meanwhile I will just have to sit here and figure it out. So many wonderful ideas here! Thanks so much for hosting. Thanks so much for hosting Donna!! 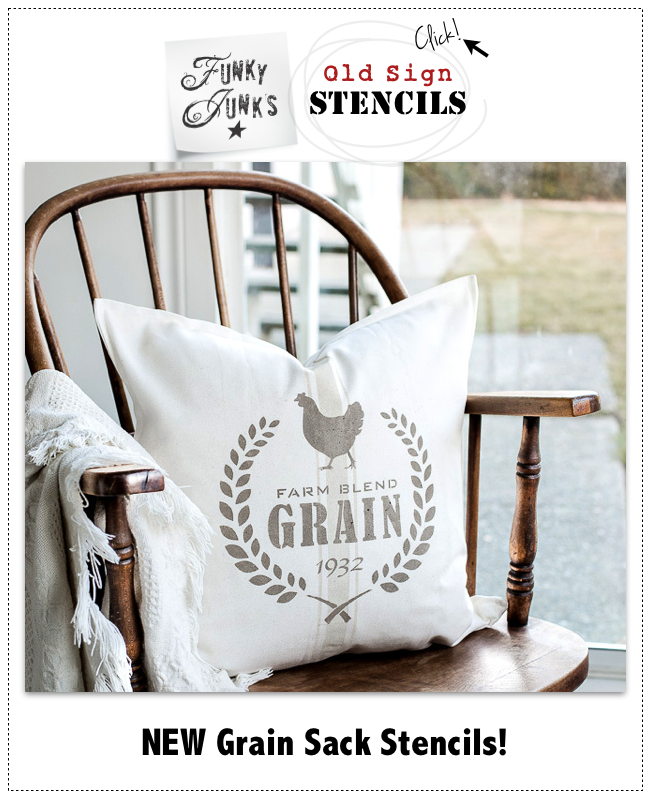 Love the rustic valentine decor. Thanks for hosting! Thanks so much for hosting Donna! I always share food posts, but because I do it here, then I get to scope out all the other beautiful projects. I always learn something and ADORE your blog. Thank you for hosting Donna! 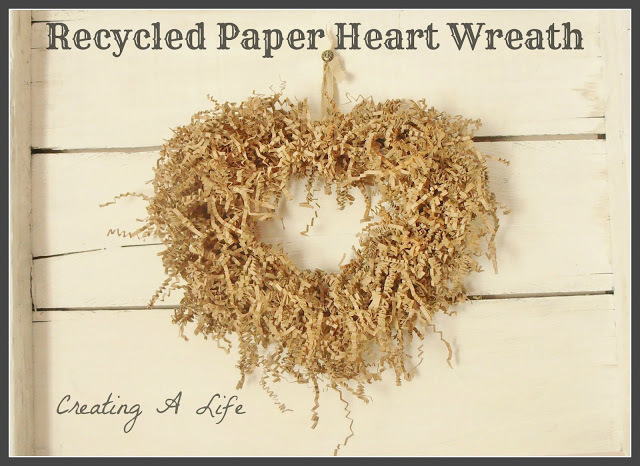 Thank you so much for featuring my heart wreath! It’s an absolute thrill to have my shabby Valentine hearts as a Funky Junk feature! Thank you!